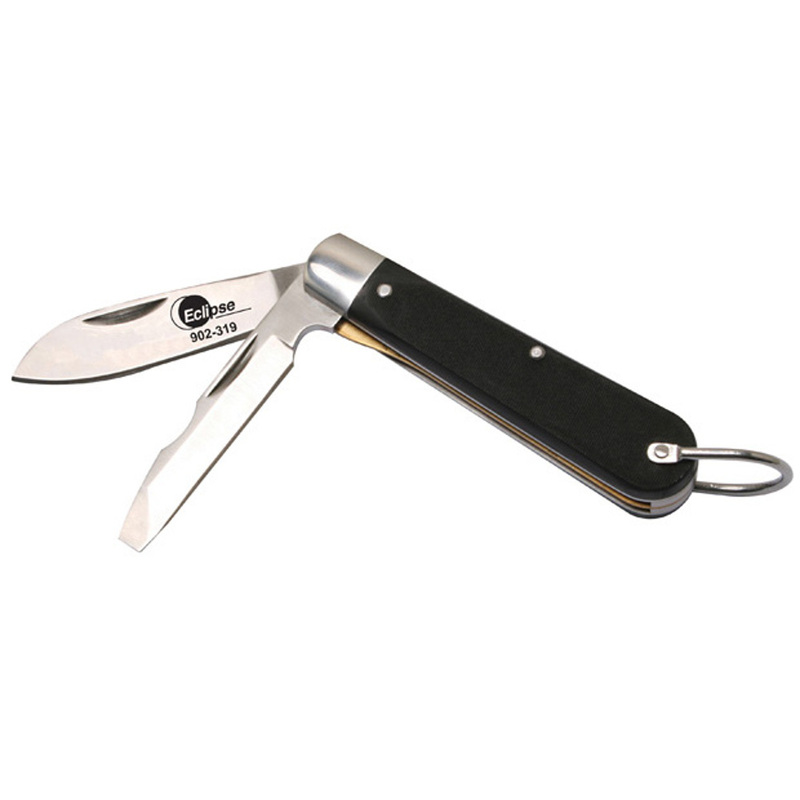 High quality stainless steel blade construction for extra strength and durability. Both a heavy duty knife for cutting cable easily and for stripping wires encased in a durable composition handle. Flathead screwdriver blade with self locking system for safety. Rugged bail hangs on belt clasp for convenient carrying. Black composition handle with non slip brass liners.